This article will explain how to add simple web links into any editable content area where the HTML editor is available. For instructors the main places would be: the content section headers of their course home page, as content within page resources, in descriptions of activities or resources, and in forum posts. For students, the main places for this would be in the content of online text assignment submissions and in forum posts. 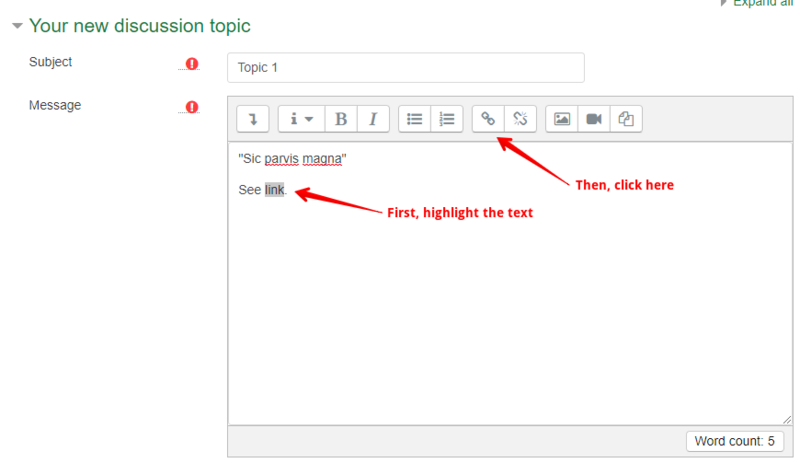 This example will show how to create a link in a forum post as this action is common to both instructors and students. 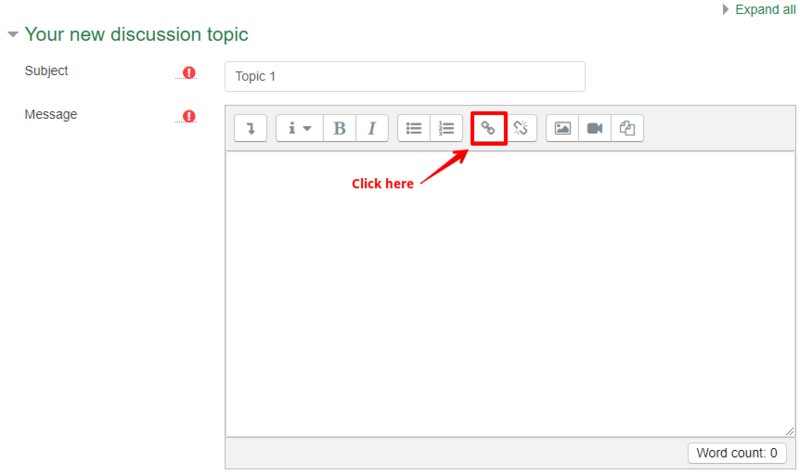 In the message area for the discussion topic, go to the HTML Editor (the content area), and click on the Link icon. 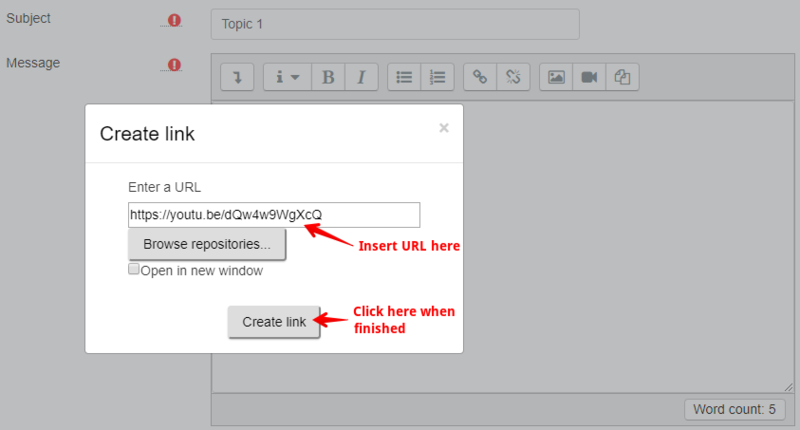 The Create link window will open; paste your URL in the "Enter a URL" box and then click Create link. Click Post to forum at page the bottom of the discussion post page and you will now have a link connecting to the website in your forum post. Once you are finished, you can click on your link in your forum post to confirm that it works.